Once, a snow day actually meant a day filled with snow: shoveling it, playing in it, or simply watching it from behind the steam of a hot mug of cocoa. And on Wednesday, to be sure, many Boston-area families did just that. But for many others, armed with home computers and smartphones, Wednesday’s snow was an occasion to do at home a slew of tasks that would have been accomplished more easily at the office. Many bosses figured out long ago that their employees can answer work-related emails and telephone calls from home, so now they have come to expect it. That may be good for productivity, but it certainly doesn’t help preserve the time-honored, if somewhat guilt-inducing, winter tradition. While kids still have the option of staying up late, hoping to hear their schools called out on the to-be-closed list, parents still must tuck themselves in early so they can sound chipper on that 8 a.m. conference call. Technology has made lives more predictable: Everyone has a better sense of when the snow is coming, if the trains will still be running, what the risks are of power lines coming down. But that enhanced reliability has also taken the spontaneity out of one of the great New England rituals: getting snowed in. 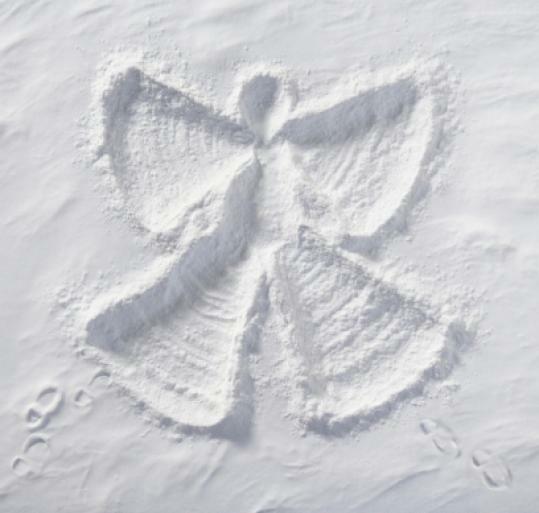 There are some problems only a properly made snow angel can fix.